At Cox Printers and Digital Media, we not only care about our customers, we also care about our environment. 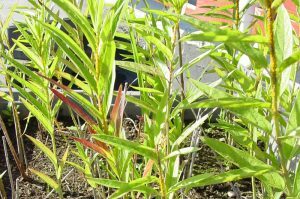 Over the years we developed a number of green initiatives that not only help to power our facility but help to foster habitats for species whose population is dwindling. Occasionally we have the great honor of telling our story. In June of 2017, we were asked to speak to a wonderful group of entrepreneurs from The Mandela Washington Fellowship at Rutgers Univesity. The video below shows the owner of Cox Printers Mike Kaufman talking about our Journey. 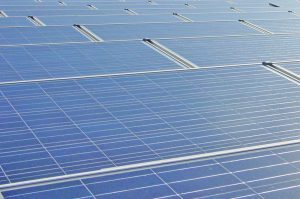 Our 36 kW Solar System on our rooftop was the start toward our green Initiatives and it partially powers our Printing Presses. No matter what you’re printing, it’s easier to print “Green” when you partner with Cox Printers. 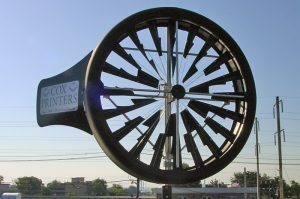 Cox Printers has installed 2 wind turbines on our rooftop that help to provide a power source for our graphics department. This is just one of our power saving green initiatives. 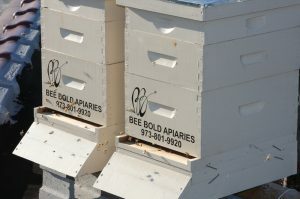 Cox Printers and Digital Media support the endangered honeybee population by providing four hives and a flower garden on our roof. Each hive produces approximately 70 lbs. of honey per year. 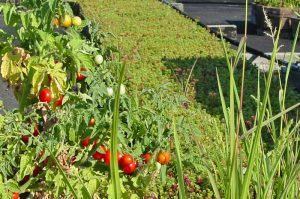 The garden on the rooftop features a variety of fruits and vegetables that supply food to the community. More critically, the garden is an ongoing food supply for our honey bees. That’s vital. Monarch Butterflies have become vulnerable to climate change and so has the Milkweed plant on which they feed. As part of our green initiatives, we have decided to grow a supply our rooftop. 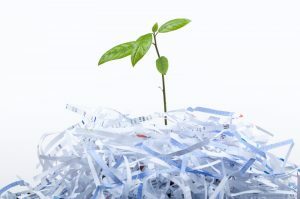 Cox Printers and Digital Media recycles thousands of pounds of paper, cardboard, plastics, and batteries per year . And we always challenge ourselves to do better.